A search and rescue dog group has claimed that its offers of help are being ignored by police. Caithness and Sutherland Search Team (CASST) said it had assisted in operations such as the aftermath of the plastics factory explosion in Glasgow. However, CASST's Valerie Ashpool said Northern Constabulary has turned down its offers to help find missing people. The police said it had agreements to use Mountain Rescue Committee of Scotland affiliated organisations. CASST was set up by Mrs Ashpool's husband David three years ago and is a member of the National Urban Search and Rescue Dog Group. Mrs Ashpool said the team assisted Strathclyde Fire and Rescue at the scene of the Stockline Plastics factory explosion in May 2004. However, she said they were ignored when it came to incidents closer to home. One example was a search at the weekend for a couple reported missing while walking from Kyleakin on Skye. The pair were eventually traced safe and well. Mrs Ashpool said: "It is soul destroying. "Two fishermen have gone missing in the last couple of years and we could see the helicopters half-a-mile from our house and were searching beaches we train on." She added: "Northern Constabulary say it is because we are not insured. "We do have insurance and if we were working with Northern Constabulary we would be covered by their insurance." 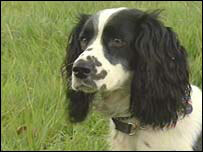 The police have their own dogs, but also work with Search and Rescue Dog Association (Sarda) Scotland. Mrs Ashpool said Sarda were primarily trained for mountain incidents, while CSST had specialties in searching beaches and wooded areas. Northern Constabulary said it did not wish to preclude offers of help, but it works with teams registered with them. A spokeswoman said: "Northern Constabulary has protocols with teams affiliated to the Mountain Rescue Committee of Scotland who are recognised and part-funded by the Scottish Executive and police service." Graeme Dalby, of Sarda Scotland, said his organisation has been involved in search and rescues since 1964. He said the police had to "trust implicitly" any other organisations it works with. Mr Dalby said: "If anything went pear-shaped it would fall into their laps."